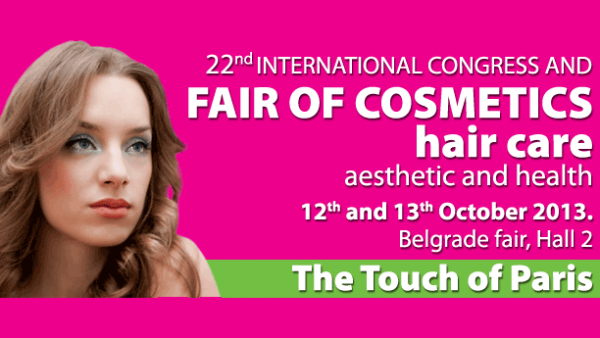 Announcement – AIKON is preparing for Belgrade cosmetics fair – The Touch of Paris (Dodir Pariza). Belgrade will be the gathering place of manufacturers, representatives and distributors of world famous cosmetics and hairstyle companies. Exhibitors from Serbia and other countries will present their products and services. The touch of Paris is the biggest event with a long tradition, not only in the Balkan region, but also the Central, Eastern and Southeastern Europe. Previous Fair visited more than 20.000 people. Visit us at The touch of Paris that will be held in Hall 2 at Belgrade Fair, on 12th and 13th October 2013. This is our first public presentation, so don’t miss a chance to meet us personally and get more information about our BIA method with AIKON Professional cosmetics.